Click on the Catalog Image or Catalog Name to open our .PDF file. 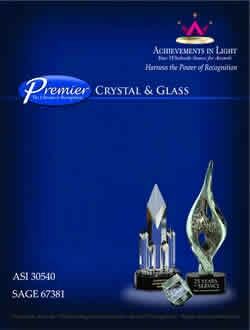 A diverse variety of award and recognition products including Acrylic, Crystal, Glass, Name Badges, Plaques, Trophies & Signs. 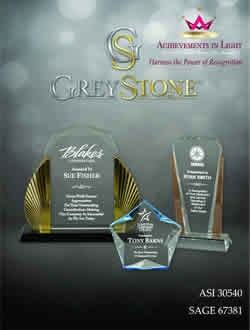 A full line of Crystal products, all beautifully etched with your logo and message. There is something for every budget. A full line of beautiful, creative Crystal & Glass pieces. 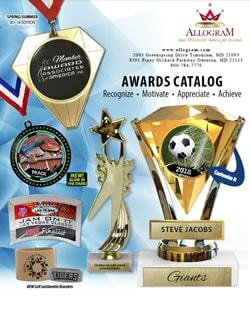 Corporate Executives to Coaches will appreciate these awards. 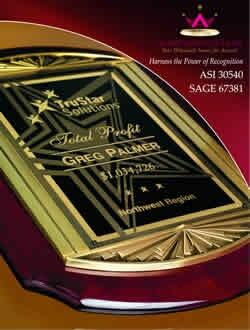 High quality, competitively priced awards and recognition products suitable for the most esteemed executive and their support staff. 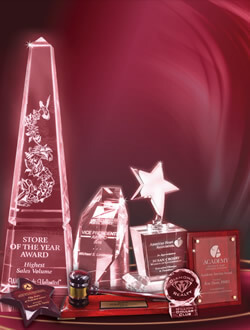 Wonderfully crafted acrylic awards in all shapes, sizes and colors to fit every budget. 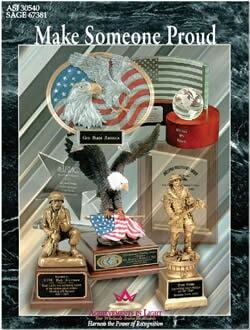 A variety of Medallions, Sports awards, Scholastic Awards, Plaques, Certificates, Trophy Figures and Executive gifts. A full line of Golf awards and gifts from Crystal, Glass, Trophy Cups and Resin Figures, all for your favorite golfer. An assorted collection of Corporate Recognition Awards which vary from Acrylic, Glass and Crystal to Plaques, Trophy Cups and Patriotic Eagles. 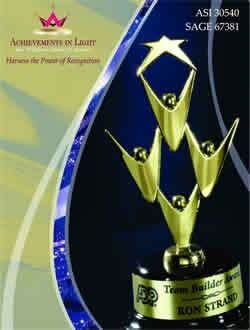 Recognize Excellence presents the finest in plaque awards. These awards combine unique engraving finishes with several styles of premium quality wood to create an amazing product. 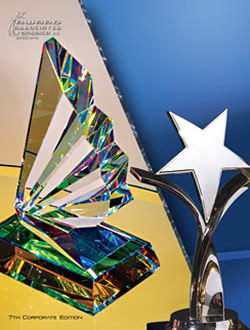 A collection of Art Glass, Crystal, Glass, Acrylic, and Plaques that are perfect for Corporate Awards and Donor Recognition. Our newest offerings of Art Glass, Crystal, Acrylic, and Castings made from the highest quality materials.